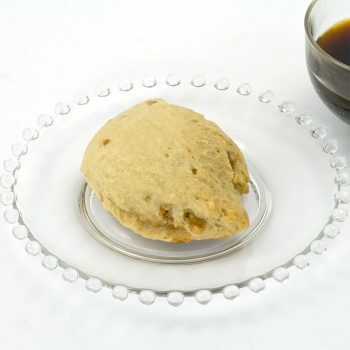 We make our Butter Brickle Scone Mix with dark brown sugar and add Heath Almond Brickle Chips to the mix. You will add butter, buttermilk and vanilla to the mix to make the dough. You can, of course, freeze the dough, and then bake as needed. Fresh from the oven, Butter Brickle scones have a warm, rich, toffee flavor (and are one of our favorite scones). We think this scone is very special just as it is. If you want to add any kind of glaze, we recommend you drizzle a little bit of molten dark chocolate over the top. Please note: Do not eat these scones if you have an allergy to either nuts or soy. This is due to the Heath Almond Toffee Brickle that is part of the mix. The dough freezes well, so make up your dough in advance, and bake as needed. Full freezing instructions can be found here. I first had the Butter Brickle Scone at an adorable B&B in Seattle, Washington last year and loved it. I asked the Innkeeper if he would mind sharing the recipe and he told me he ordered it as a mix from Victorian House Scones. 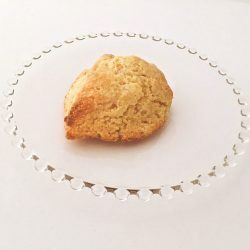 I’ve been ordering this mix, as well as Debbie’s other scone flavors (try Indian Chai… it’s amazing) and having fun adding my own ingredients to the 3 different base mixes. The Butter Brickle Scone is not overly sweet, it has just the right amount of small brickle candy to give it a delightful crunch and flavor. I make this one with no additions or glaze, it stands on it’s own perfectly.